Let’s continue this mini-series (part I, part II) focused on a fruitful exchange I’ve had recently with Ian Kidd over at Social Epistemology, which began with his publication of a paper on Paul Feyerabend’s (in)famous defense of astrology. As you might recall, Feyerabend (and, for that matter, astronomer Carl Sagan) was upset at an anti-astrology manifesto published in 1975 by arch-skeptic Paul Kurtz and co-signed by 186 scientists. Feyerabend’s charge was that the scientists had done less homework, before signing onto the public document, than the Catholic Church when it wrote its witchcraft textbook, the Malleus Maleficarum, back in 1484. Kidd, in turn, defends Feyerabend arguing that he was criticizing the scientists in question for lacking the virtue of epistemic humility and engaging in the vice of dogmatism. As we have seen, in my first response I turned the tables on Feyerabend, accusing him of epistemic recklessness because of his use of provocative and outsized rhetoric of the type that was later claimed by supporters of pseudoscience themselves, as well as by misguided postmodernist philosophers. Instead, I suggested, the issue is one of whose authority we trust and why, and of who we think should be watching the watchmen. My thinking is that we cannot aim, as Feyerabend seemed to suggest, at a completely democratic science, meaning one whose pronouncements are accessible to the general public; but that we also don’t want to go to the other extreme, as Michael Planyi seemed to do, and just bite the bullet and anoint scientists as the new priesthood. Instead, we should increase the number of chairs at the discussion table, so to speak, by inviting people who know enough science to understand it, and yet are more detached from its agenda and objectives, people like philosophers, historians, and sociologists of science, for instance. In his graceful reply to me, Kidd accepts a number of the points I raised the first time around, and goes on to make new ones, as well as to refine his own thinking on the matter. He particularly agrees with me that I) Feyerabend did identify a problem with scientific dogmatism, what nowadays is referred to as scientism; and II) that Feyerabend himself failed from a virtue epistemological perspective, given his recklessly provocative behavior. Kidd also concedes that astrology, homeopathy, and a number of the other original examples used by Feyerabend are, in fact, pseudosciences, adding that later on Feyerabend himself got more sophisticated on this point, apparently under the influence of his soon to be wife, Grazia Borrini. And I think Feyerabend was right about this. Notice the key phrase “science studies scholars,” different from the one I used (philosophers of science, plus historians and sociologists of science). I’ll get back to this later. Fair enough. In the last part of this increasingly long mini-series, out tomorrow, I will summarize my further and final response to Kidd. This entry was posted in Massimo's Technical Stuff, Philosophy of Science on August 31, 2016 by Massimo. I’ve read this through a few times, and feel obliged to say a few words in support of scientism ;). There is also an extensive psychological literature on belief in astrology and its relationship to social and political conservatism, that ties in with the humanistic (ie “non-scientific”) ideas of Adorno and Orwell on fascism and occultism. So, I don’t see the incommensurability that Feyerabend claims that separates all traditions, leading to his late-career turn to complete cultural relativism. It is true that the scientific viewpoint may not be completely sympathetic to that of the believer in astrology. But it can entwine with those traditions that prize rationality. My particular viewpoint may not be that of all scientism-ists, in that I think sociology and anthropology are sciences – the good bits anyway. You are a professional and I am an amateur, so I likely well deserve your opinion of me. That said, Massimo does argue for outside consideration of the sciences, in the abstract, at least. Isn’t C constant to the vacuum, as in, “C is the speed of light in a vacuum” and if the vacuum is not space, what is it? So we have “space” expanding and the “vacuum” constant. One measured by the redshifted spectrum of intergalactic light and the other measured by the speed of the very same light. Now I’m expecting, “You idiot, you know nothing!” Yet I’m hoping for some more measured response as to what is the vacuum and how is it different from space. Please drop your n-th discussion on relativity and the Big Bang. We’ve heard it before. And Coel is right. “There is no Yahweh as described in the Abrahamic religious texts” can be given a valuation of close enough to certain that we can just say “there is no Yahweh from the Bible.” But “there is no God” can not be given a near certainty valuation because the possible definitions of “God” are too broad in range. Some pretty smart scientists would give the likelihood of our universe being a computer simulation a much higher probability than 0.00001%. Some very smart scientists think it is almost impossible that we are not a computer simulation. And the programmer could be defined as God. I would love to see how the whole block time, expanding universe, inflation, dark matter, dark energy, etc. model is holding up a hundred years from now, but guess I’ll have to wait. But “there is no God” can not be given a near certainty valuation because the possible definitions of “God” are too broad in range. True, but the utterer of the declaration is entitled to be using a sensible definition of “God” as appropriate for the context. Thus, if one is discussing Christianity then the speaker can intended “God” to mean anything along the lines of the Abrahamic god. Thus there is not necessarily anything wrong with “there is no God” declarations in many contexts. True, but he was writing at book length, and I agree that if one was writing at length one would explain that. But again, in many contexts “there is no God” is appropriate and defendable enough, rather than being dogmatic. This whole discussion of astrology and its status (or absence thereof) in human thought seems to me to be essentially a sort of proxy war, in which the underlying issue is the validity, not of astrology, but of religion. Astrology is a fairly risk-free subject for discussion, as relatively few people take it seriously, and those who do are (as far as I know) not in positions of power. Religion, on the other hand, is taken seriously (literally dead seriously) by vast numbers of people, many of them armed, and those who make light of their beliefs may find themselves convincingly refuted by an IED. It seems ironic that this state of affairs is taking place in the 21st century, preceded by four centuries of increasing human confidence in the reliability of the scientific method as a path to understanding of the universe and how it works. In earlier times, truth was essentially revealed truth, embodied in religious doctrine, and though it could be expounded by scholars, it was not intellectually negotiable, and those who thought otherwise did so at the risk of their lives, as Galileo and Bruno found out. On the surface, you have a point, as astrology is mostly relegated to the horoscope section of the paper and new age head shops, while religion is a brute force of nature. Yet in many ways, the opposite is true. 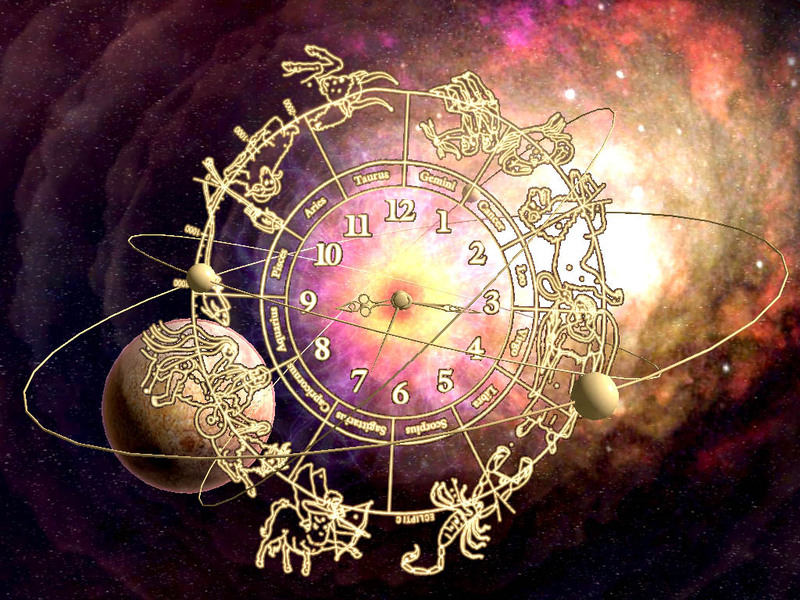 Astronomy and astrology, as observing and theorizing about nature and the cosmos, predate any modern form of religion by many thousands of years. The Pyramids of Giza and Stone Hedge, etc. are evidence of that. Consider how many thousands of years of recording astrological observations made with just eyesight it would have taken to notice the precession of the equinoxes. When you consider the basic premise of astrology, to project this perception of cosmic order onto the chaos of daily life and it is pretty much the premise of science today, trying to extract order from chaos. As such, it is not so much a pseudo-science, as a proto-science. Yes, it was extreme overreach and consequently a monumental failure, but the scientists of today who take great pleasure in ridiculing it are a bit like children ridiculing their parents for what they are and vowing to never be like that, while being utterly clueless of the forces at work. Never let your theorizing get too far removed from your observing, or it will spiral into a cocoon of dogmatism. Meanwhile modern religions are little more than intellectual safe zones, for those who feel threatened by the chaos of nature and prefer arbitrary order over instability. You want me to predict the future? What goes up, comes back down. Again I agree and disagree. I understand your point, but the real question is why someone promoting evidence based belief would make the positive assertion “god does not exist.” There’s just no reason to go there. If you are in discussion with a theist, you can simply say “there is no credible evidence for that claim whatsoever and no good reason to believe that it is true. One can even add (depending on the particular type of god belief being proposed) that to believe in God is problematic, or to believe in anything without sufficient evidence is problematic. One can even call certain God beliefs dangerous or a plague if one wants to get stronger with their condemnation of irrational beliefs. None of this requires the positive assertion that God does not exist. So why bother with that particular phrase? It is not an evidence based statement. Why do we need it? Why would we want to employ it? It can only take credibility away form us because it is not an evidence based assertion. Perhaps it makes sense to distinguish between two types of belief, one that ensues from somewhere as near to certainty as is humanly possible (e.g. based on hard scientific evidence) and another based on more subjective factors, such as cultural grounding. This would be somewhat similar to the distinction made in court trials between “beyond a reasonable doubt” (applying to criminal cases) and “preponderance of the evidence” (in civil cases). I think of faith as a primal element in our makeup, one that we share with all living things, because living itself is an act of faith. Being human, and therefore encountering our environment through language and concepts, we tend to think of Faith (with a capital) as being IN something or other, but that’s just us. We’re the only animal that doesn’t know what to do, and our lives (and libraries) are filled with attempts to find out.